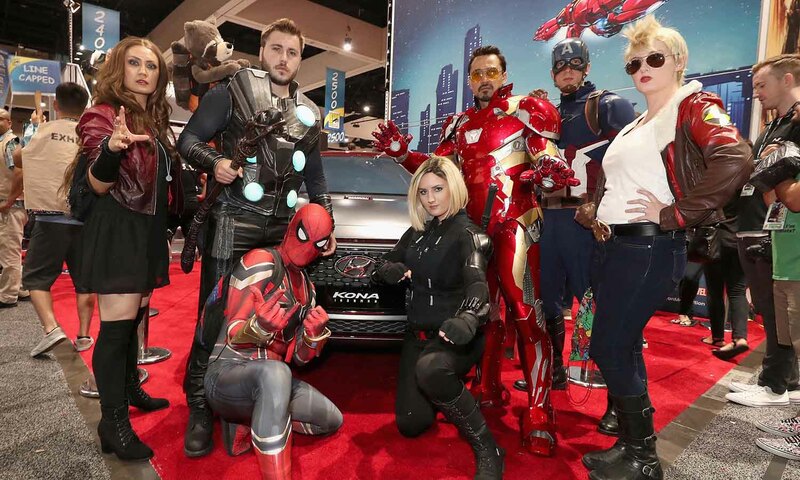 When we saw this crew, we were impressed -- and also curious about how long you can stay in an Iron Man suit that realistic. The life of a cosplayer is a very expensive, and sometimes painful one if you prick yourself with a needle making your latest cosplay. It can also be a very fulfilling and fun one until you realize you’re on a time crunch. Making props and power armor can be extremely time-consuming. Having a 3D printer can help cut down on some of the time and give you some really realistic looking cosplay props to work with. Keep reading to find out how to choose a 3D printer, a few models that are good for beginners (and your wallet), and how to begin your creations using this method. You’ll be needing to print pieces that will be worn so a small home 3D printer with its basic features might not cut it. When choosing a 3D printer to make these large prints there are a couple of features that you should be looking out for. For the most part, you’ll want to print out your cosplay with different filament colors and types to really capture the character who you are portraying. Since you’re going to be wearing what you print you want it to be durable and exotic filaments are usually what can do this. Consider materials like metal, ceramics, and wood vs the usual materials like PLA and ABS. Build volume is probably the most crucial part of buying a 3D printer for your cosplay. Again, you’ll be wearing what you print so you’re going to need some pretty big pieces so the build volume needs to be large. Also, printing larger pieces mean fewer prints. The fewer prints that you have to do, the less weak points your cosplay will have. 3D printers can be a little difficult to use at first but with time and experience, it gets a little easier. If you’re picking out your first printer and don’t yet have this experience, it probably bests that you pick up a printer that is suited for beginners. Also, if this truly is your first 3D printer purchase, you should get one that involves as little self-assembling as possible. There are a few important technical features that you should be looking for. The main ones are print resolution and print speed. This will allow you to make quality prints fairly quickly. You also need to look at its maximum nozzle and bed temperature. These will be big factors in what you can print. Now that you know what you should be looking for here are a few that you can choose from that are perfect for beginners and won’t be too bad on your wallet either. The Original Prusa i3 MK2S is perfect for beginners and comes with a ton of technical features. It’s got a pretty large build volume and a wide variety of filaments that it can use. It’s also got a high and reliable print quality and its heating bed has a pretty even temperature distribution. The Monoprice is a kit based printer which means that there is some assembly that is required but it’s 6 screws or so. It’s not that complicated or demanding vs. others like it. It’s got a decent build volume and works with just about any print filament making it a pretty versatile machine. This machine prints with over thirty filaments making it versatile for most of your projects. For the most part, it comes pre-assembled and with this, a sensor that will pause the print in the event your filament runs out or there is a power outage. When the power comes back on or you refill the filament, it will resume printing where it left off. If none of these sounds like something you would want to try, you can read more here for other options. So, you’ve purchased your printer of choice, now what? You have to use software to build a 3D model of your project before you print it out. If you aren’t experienced in this area, no worries. There are tons of online tutorials that you can turn to and some colleges offer beginner courses. If you just aren’t the artistic type there are online libraries where you can purchase and download models. Once you’ve printed your creation it’s time to add the finishing touches. Before you start priming and painting, you’ll need to get sandpaper or even an electric sander to smooth out any rough edges. Once you’ve got a nice, smooth surface prime it and paint on any fine details that you need to really bring your cosplay to life. 3D printers while a worthwhile expense, is still, well expensive. If there is just no way that you can drop cash on a printer right now, there are plenty of online printer services that you can choose from. These services are a great resource and will get you the cosplay you want it just might take a little longer and take away from the satisfaction of you doing it yourself. Cosplay can be fun and rewarding when you see your creations come to life, but it can also be difficult to create costumes and props by hand. Having a 3D printer can cut down some of this work and time. Use these tips for finding a 3D printer to have your cosplay props ready in time for the con. A great 3D printer isn’t the only tech that can make your life easier. Go here for a full list of gadgets that can improve your day to day life.